Our company is identified amid the prominent Electrical PLC Panels Manufacturers, Suppliers and Exporters in India. Our Electrical Power Control Panels are manufactured from the finest quality materials that ensure tensile strength, high durability and resistivity to adverse conditions. Our Electrical PLC Panels are widely famous in the national as well as global market for the unmatched quality and optimum performance. 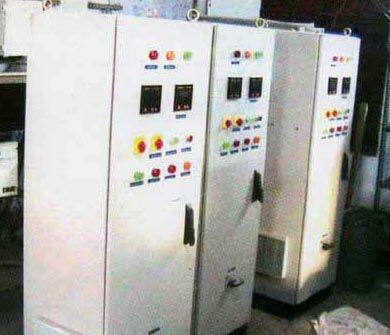 The Control panels, we offer, are exclusively used in Furnace, Dryers and Ovens etc.